Walt Disney Animation Studios will be releasing their 56th animated film globally on 23rd November 2016. 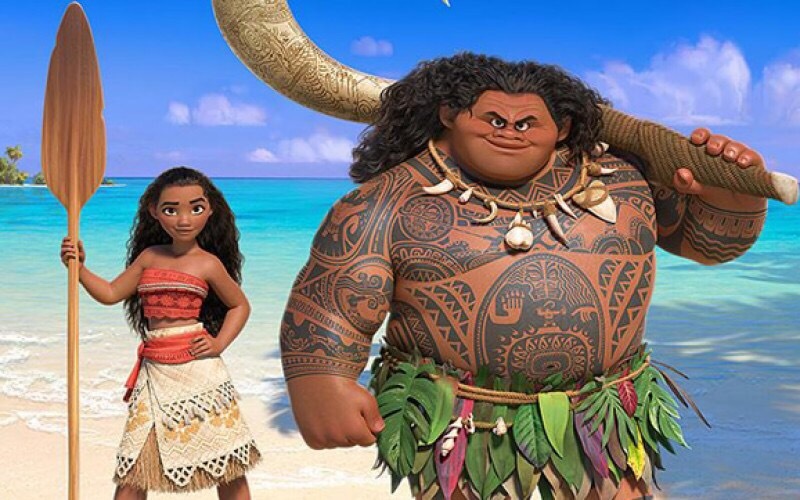 Titled Moana (or Vaiana or Oceania, depending where you live), the film follows a 16-year-old as she embarks on a quest to a mystical Polynesian island to find the demigod Maui and uncover the island’s secrets. This article should bring you up to speed with everything you need to know. The directors are Ron Clements and John Musker, the directorial duo who have been responsible for some of the greatest Disney films over the last thirty years. That’s a tremendous track record, with two of the films stone-wall classics and the remaining four well-regarded if a little under-appreciated. Their last work – The Princess and the Frog – may well be the best Walt Disney Animation Studios film released in the last decade. The titular character is a native of the fictional island Motunui, which is said to be in the Pacific Ocean. There is a coastal town in New Zealand that shares its name, and there is also an island just south of Easter Island, but neither of these is the setting for the film. Instead, the inspiration for the setting is said to be Teti’aroa, a different Polynesian island most famed for being bought by Marlon Brando in the 1960s. This is located about where the pin is on the following map (courtesy of Apple Maps). 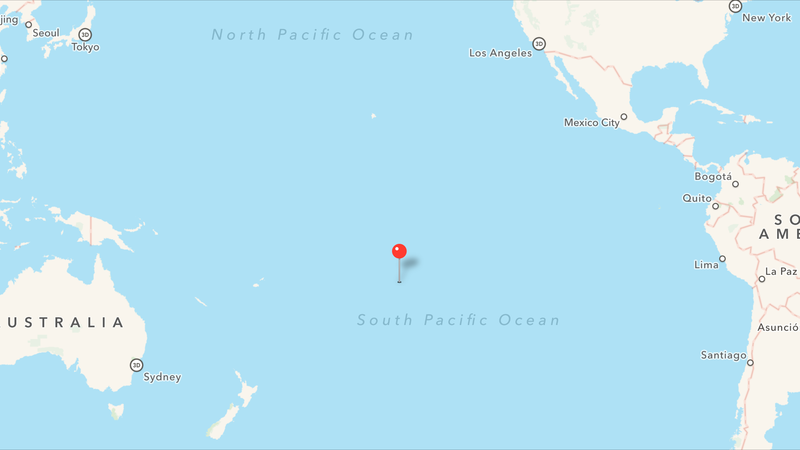 Basically, it’s in the middle of the South Pacific Ocean in French Polynesia. By all accounts, it’s a beautiful part of the world to visit and, thanks to the Marlon Brando Estate you can! I’ll be, erm, saving up my pennies. The lead character of Moana Waialiki is voiced by Auli’i Cravalho, a 15-year-old newcomer to the film industry. The video above shows you how thrilled she is to effectively be the next Disney princess. A huge role and it’s a nice touch they managed to find someone from Hawaii to take on the role. Dwayne “The Rock” Johnson voices legendary demigod Maui, the unlikely buddy for Moana to set off on her journey with. Elsewhere there are contributions from Pussycat Doll Nicole Scherzinger as Moana’s mother Sina, Temura Morrison (Episode II’s Jango Fett) as Moana’s father Chief Tui, Flight of the Conchord’s Jermaine Clement as the crabby Tamatoa, Rachel House (who you may remember as the over-zealous welfare services officer Paula in Hunt for the Wilderpeople) as Moana’s grandmother Tala and Disney regular Alan Tudyk as idiotic bird Hei Hei. On top of that, there are musical contributions from Lin-Manual Miranda, who has managed to fit this in between the massive success of Hamilton and the preparation for the Mary Poppins reboot he’s just been cast in. Oh, and Star Wars. There’s a short clip of the song “You’re Welcome” below. Are there any trailers or clips available now? Clip – Is there something you want to hear? It has various release dates. The key one for me is the UK release date of 2nd December, although it will be hitting USA screens a few weeks earlier on 14th November. Most of Europe will have it before Christmas, apart from Scandinavia who won’t be able to enjoy it until 2nd and 3rd February. The last country to get it is Japan on 10th March, a full four months after its initial release date.